Poll watchers were buzzing Wednesday when the latest survey of the presidential race in Utah found Donald Trump’s support falling to just 26 percent, down to a tie with Hillary Clinton. The survey of 500 likely Utah voters was conducted after the second GOP debate on Monday and Tuesday. Previous polls have also shown the race to be close or moderately close, and much has been written about Trump’s struggles in the deeply conservative state. But, to this point, few prognosticators have put Utah on ‘battleground state’ lists. However, over the weekend many of the Beehive State’s top political leaders condemned Trump after the release of the ‘Billy Bush video,’ with Governor Gary Hebert and U.S. Representatives Jason Chaffetz and Chris Stewart announcing they would not vote for the New York businessman – joining U.S. Senator Mike Lee who had never given his endorsement. But Trump’s failure to perform well in the deep red state may soon be overshadowed by the rise of an independent candidate. Close behind Trump and Clinton in the Y2 Analytics poll is independent Evan McMullin with 22 percent followed by Libertarian nominee Gary Johnson at 14 percent. The Utah-born, Brigham Young-educated businessman is a former policy director for the House GOP and an ex-CIA agent who had previously polled in low double-digits in a Salt Lake Tribune survey conducted in mid-September. McMullin’s name has largely been left out of the national discussion since his August campaign launch, due in part to the fact that he will appear on just 11 state ballots: Arkansas, Colorado, Idaho, Iowa, Kentucky, Louisiana, Minnesota, New Mexico, South Carolina, Utah, and Virginia. [Write-in votes for the former CIA agent will also be counted in nearly two-dozen other states]. But with Trump and Clinton both extremely unpopular in Utah and Gary Johnson enduring recent high-profile stumbles of his own, there is now evidence that McMullin – a Mormon – could launch a successful favorite-son candidacy and claim Utah’s six electoral votes. If he does, it would be a remarkable, history-making political feat. 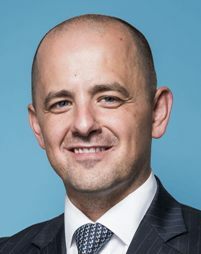 A Smart Politics analysis finds that if Evan McMullin carries Utah in November it is almost a certainty that he will do so with the lowest percentage of the national vote ever recorded by a presidential candidate who won the popular vote of at least one state. It is unclear at this point how deep of a footprint McMullin will make nationally, but it is likely to be quite light. [His name has generally not been listed as a candidate choice in most public opinion polls, owing to his late entrance in the race and the paucity of states in which his name will appear on the ballot]. When McMullin’s name has been offered by pollsters to give respondents a fifth candidate option in the horse race (along with Trump, Clinton, Johnson, and Green Party nominee Jill Stein), he has polled at one or two percent. However, that number is likely inflated given the low number of state ballots on which he will actually appear as well as the fact that many of the states where he gained ballot access have lower populations. For example, McMullin did not gain ballot access in heavily populated states like California, Texas, Florida, New York, Illinois, Ohio, Pennsylvania, Michigan, and North Carolina (states that account for nearly half of all votes cast nationally). So how strange would it be for a candidate with such a low national presence – perhaps falling short of one percent of the national vote – to carry a state this November? To date, there have been six candidates who have won the popular vote of only a single state since the onset of the modern two-party era in 1828. Four of those candidates won north of 15 percent of the national vote. In 1856, former President Millard Fillmore won 21.5 percent as the American (Know-Nothing) nominee. Fillmore won Maryland (eight electoral votes) – a state which did not have Republican John Frémont as a candidate choice. Fillmore also came close to winning Louisiana (-3.4 points), Tennessee (-4.4 points), Kentucky (-5.1 points), and Missouri (-8.9 points) – all states that were two-way races won by Democrat James Buchanan. In 1924, Wisconsin U.S. Senator Robert La Follette won 16.6 percent of the national vote and carried his home state of Wisconsin and its 13 electoral votes. Like Fillmore’s third-party campaign, La Follette performed quite well in many states, losing to President Calvin Coolidge by just 2.5 points in North Dakota, 4.6 points in Montana, 5.5 points in Nevada, and 9.9 points in Minnesota. Two major party nominees also famously won just one state (plus the District of Columbia) over the last 50 years. George McGovern carried Massachusetts and Walter Mondale won his home state of Minnesota. The two Democrats won 37.5 percent and 40.6 percent of the national popular vote respectively. Two other presidential candidates have won the popular vote of a single state and both will likely far exceed McMullin’s national vote percentage. In 1832, Anti-Masonic nominee William Wirt received 7.8 percent of the popular vote as well as the state of Vermont and its seven electoral votes. The Anti-Masonic Party was briefly successful in winning elected office in the Northeast during this period, but Wirt did not come within 15 points of winning any other state. In 1836, the Whig Party ran multiple nominees in different regions of the country in hopes of denying Democrat Martin Van Buren of a majority in the Electoral College and throwing the decision to the House of Representatives. One of those nominees was Daniel Webster, who won his home state of Massachusetts – the only state in which his name was on the ballot. As a result, Webster claimed just 2.7 percent of the national vote. [Note: Two other individuals – independent Democrat John Floyd in 1832 and Whig Willie Magnum in 1836 – also won the electoral votes of a single state, South Carolina. However, each received their votes via the state legislature as the Palmetto State did not conduct a popular vote for the office until after the Civil War]. The current national popular vote low water mark for a presidential candidate who carried at least one state was set by Dixiecrat Strom Thurmond in 1948. Thurmond won the popular vote in four states (Alabama, Louisiana, Mississippi, and South Carolina) with 2.4 percent of the nearly 49 million votes cast across the country. The South Carolina governor’s name was on the ballot in just over a dozen states. Other candidates to win a handful of states include Populist James Weaver in 1892 (8.5 percent), Constitutional Unionist John Bell in 1860 (12.6 percent), American independent George Wallace in 1968 (13.5 percent), and Southern Democrat John Breckenridge in 1860 (18.2 percent). The best chance for Libertarian nominee Gary Johnson to win Electoral College votes is to carry his home state of New Mexico where he served as a two-term governor and eclipsed the 20 percent mark in a late September poll by the Albuquerque Journal. Clinton, however, is much more popular in New Mexico than in Utah and is likely to have comfortable separation from Johnson and win the state with a plurality in the high 30s or low 40s. Johnson is also on the ballot in all 50 states and is poised to receive north of five percent of the popular vote. 7 Comments on "Evan McMullin Could Set Mark for Weakest National Popular Vote by Candidate to Win a State"
1. Since Washington (, the) District of Columbia is treated (since 1964) as a state-like entity -its lack of Congressional representation notwithstanding- both the McGovern and Mondale cases ought to be grouped with those of (Northern) Democrat Douglas and 3 others. 2. That late September Journal poll aside, the Johnson-Weld ticket would be no more likely to carry NM (and MA) than the (fusion) independent ticket of John Anderson(R) and Patrick Lucey(D) were in IL and WI in 1980. However, since the Libertarian Party is a long-established entity, its long-belated reaching the 5.0% threshold may well mark a watersheld, perhaps with consequences far past this DYSTOPIAN electoral cycle. 3. “…win (NM) with a plurality in the high 30s or low 40s” That seems the most likely NATIONAL popular vote share for the currently high-flying HRC-Kaine ticket (45.4% ceiling; whether single- or even double-digit ppts ahead of the nearest also-ran). It’s an interesting case, but I ended up not including Byrd as his name was not on either the MS or AL ballots (and was never a candidate) – with the vote technically going to the ‘unpledged’ DEM ticket. If Evan McMullen wins Utah and denies Clinton and Trump the 270 electoral votes they need, he could conceivably go all the way. The way I see it, America has too many enemies willing to take advantage of that kind of confusion. Imagine the outcry if that were to happen!! In the event of a real emergency, the legislature would be forced to look more closely at the party backed candidates and they both come up short, but McMullen would quickly emerge as the ideal compromise candidate. He is a conservative Republican, ten years service overseas with CIA, 40 yrs. old ( next-gen and millenials now outnumber boomers ) he is a Mormon, ( and he has access to Mitt Romney’s e-mail supporters lists ) and his running mate, Mindy Finn is a 35 year old married mother of 2 from Texas who is well connected to the Bush family because she designed the internet campaign for George W. Bush in 2004 and ’08. Are you going to do a posting on how McMullin performed ? Yeah, I know he didn’t win any states … but did exhibit support in a number of them. In most states, he was not a factor … but in Minnesota his votes exceeded the difference between Clinton and Trump.